CHICAGO (WLS) -- Looking for a last-minute getaway? Frontier Airlines is offering one-way flights as low as $29 to destinations across the country. But you'll need to act fast, because the sale ends August 2. With flights this cheap, there are bound to be a few rules. Frontier is offering the deals on flights between August 4 and August 30 and flights must be booked at least three days in advance. The lowest prices are reserved for members of Frontier's Discount Den program, but if you're not a member, the sale flights are only around $10 more. 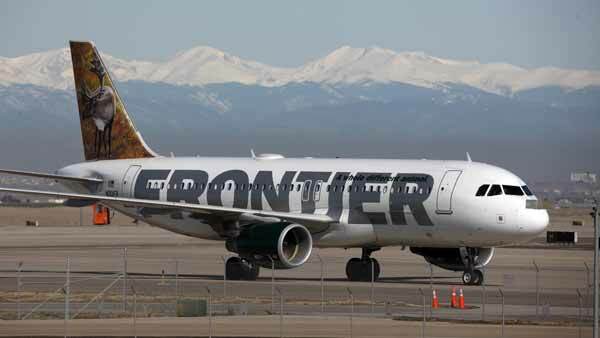 Since Frontier is a budget airline, the ticket prices may not include carry-on bags or reserved seats. To check out all the available flights, click here.